Nioucha’s coming-of-age memoir, ‘Taking Cover’ (out now through National Geographic) set during the Iranian Revolution, tells the true story of a young girl who moves to Tehran from the U.S. and has to adjust to living in a new country, learning a new language, and starting a new school during one of the most turbulent periods in Iran’s history. Although today’s younger generation may be unfamiliar with the Iranian Revolution, with current situations of political turmoil in places like Syria which has seen a mass exodus of refugees over the past 6 years due to internal conflict, and heightened fears about immigration being weaponized in political speeches across the Western world, Nioucha’s book is a reminder that these stories are personal, real and could literally happen to anyone. 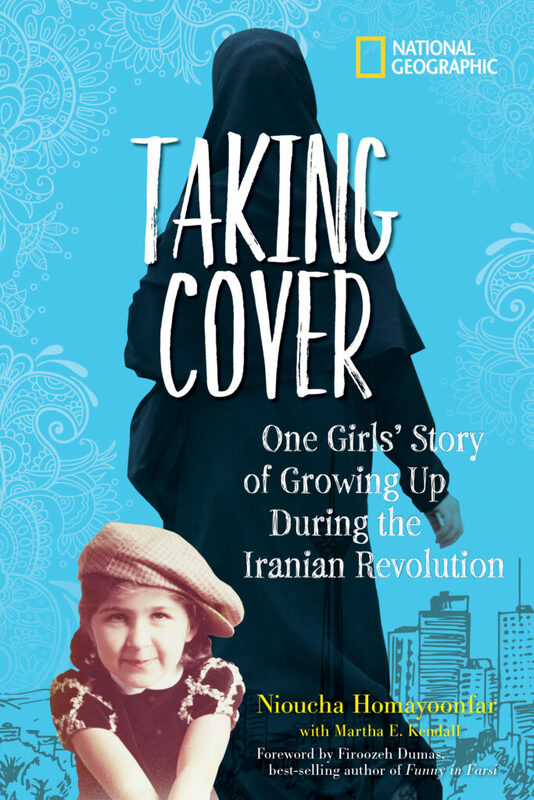 We spoke with the author about her process for writing this memoir, her thoughts on current similar political and social situations, and how she is inspired by female activists in Iran today. 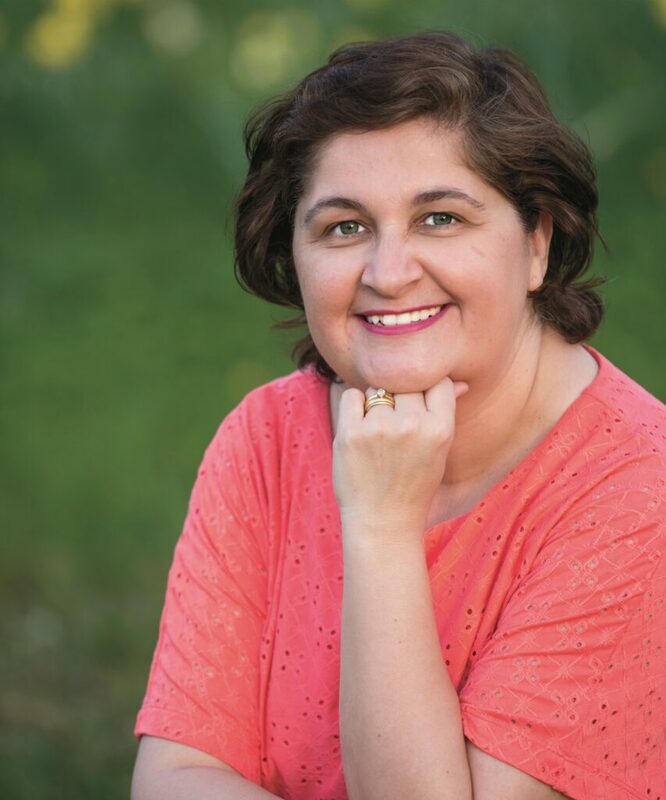 Why did you decide to write a memoir about your tumultuous journey from Iran to the US? I wanted to write this memoir as a way to remember and document my journey from Iran to the US. After I had my two children, it became important for me to tell them about my life growing up in Iran and what prompted us to leave the country we loved so much. Writing this book was a way to relive the good times I had in Iran, as well as work through, and process, some of the more tumultuous memories. While there may be markedly different aspects of your upbringing, there are also parts of your coming-of-age story that are so familiar universally. How do you hope audiences everywhere will relate to your story? I hope readers will see a young girl sharing the same passions and concerns that most kids around the world have. Although I grew up during the aftermath of an Islamic Revolution that was followed shortly by a war, I was also just a regular kid. I loved my family and friends, I enjoyed listening to music and to dance, and I had crushes on boys. I had a bit of a mischievous side too, which young audiences can relate to either from recognizing it in themselves or seeing it in other children. Audiences everywhere can relate to love, loss, terror, and fun. ‘Taking Cover’ explores these themes and shows the reader that my experiences can bind us in our humanity. Conversations about politics, freedom and religion are very timely, especially in the US. As someone who has been through this many years ago, what kind of feelings does it bring up to see the political and social turmoil in the US right now? The current turmoil in the US brings me back to my youth in Iran. From a young age, I had a resistance to teachers and authorities telling me how to carry myself, what to think, and how to act. I wanted to have the freedom to think for myself. In the Iran of my childhood, young women were made to feel like bad girls by society if they wanted to have a boyfriend, for example. I think back to the history of Persia and am amazed that 2,500 years ago, people of all different backgrounds and faiths lived side by side in peace and harmony. I hope that what is happening in the US right now will bring about constructive dialogue and debate and steer us back to a more tolerant mindset. 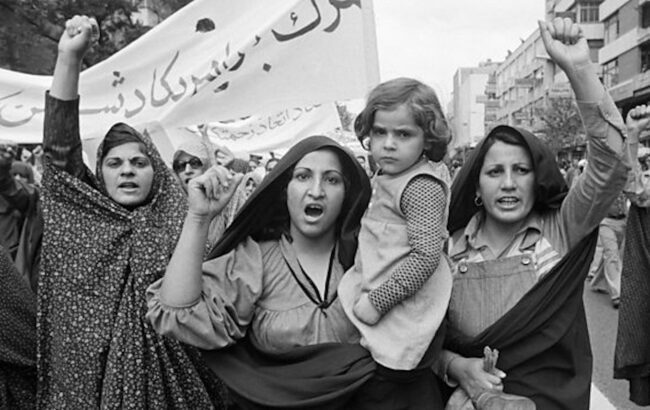 What was the most difficult part of leaving a country that saw such a drastic change after the Iranian Revolution? The most difficult part of leaving Iran during the summer of 1987 was saying goodbye to family and friends, not knowing if/when I would see them again. The drastic changes that came after the Iranian Revolution did not interfere with our family dynamics; in fact, it brought us closer together. This made it even harder to leave. The war with Iraq was still raging then – it would end six months after we left, in 1988. I also felt tremendous guilt to be traveling to safety while my extended family continued to live under the terror of Iraqi missiles. 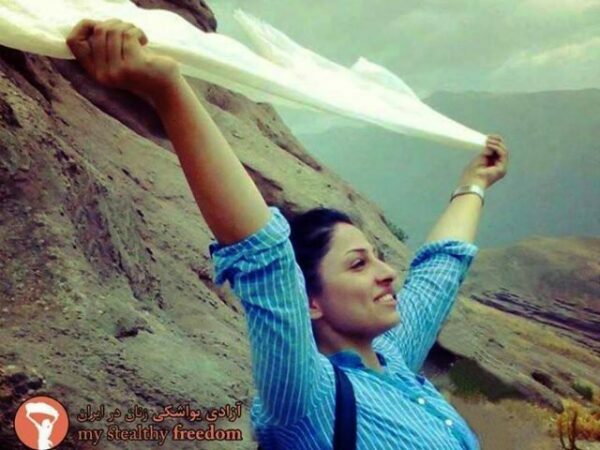 How do you feel when you hear about women in Iran who are fighting for their freedoms and starting campaigns that defy the social and religious customs? I am both scared for them and in awe of them. I can’t help but feel scared for these women because my own experience with Iran’s religious authorities while growing up in Iran still haunts me. 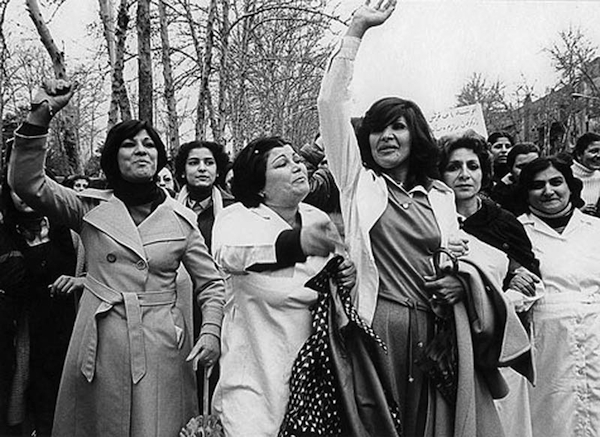 I was so young when the Islamic regime came into power that their rules and regulations about proper Islamic coverage for women made a lasting impression on me. 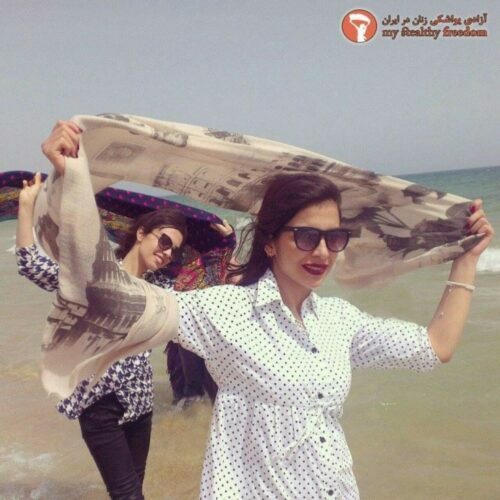 But I am also in awe of these Iranian women because they are prepared to face the possible severe repercussions of standing up for the basic right of showing their hair in public. We’re hearing a lot of ugly rhetoric about immigrants and asylum seekers in politics today. As someone who has been through the upheaval of moving countries, what would you say to those who fear “the other”? Often, fear in “the other” stems from a lack of awareness or empathy. I have used storytelling as a way to provide people with an imaginary bridge through which they can understand where I come from as an immigrant. I believe that through storytelling, you can make people feel like they are walking in your shoes and seeing the world through your eyes. Furthermore, actively listening to immigrants’ stories and their different thoughts and beliefs – even if they are opinions that a person may not necessarily agree with – will allow us to have a conversation that can move us forward. With the 40th anniversary of the Iranian Revolution having just passed, what does it mean to you personally to have your book released in time for this? When I started writing my book in 2006, I never thought it would be released to coincide with the 40th anniversary of the Iranian Revolution. It is an astonishing happy accident – one that I was not planning, but one that I am grateful for because it has allowed for many insightful conversations to take place. What do you hope people who read ‘Taking Cover’ will learn the most? I hope the readers of ‘Taking Cover’ will learn that Iran has a rich culture brimming with hospitality, warmth, and generosity. Iran is not just a country riddled with complicated politics. It is a nation filled with friendly and nice people, a diverse history, beautiful carpets and jewelry, and above all, quite possibly the most delicious food in the world. What can I say, I’m biased! In writing ‘Taking Cover’, I tried to show readers these qualities by introducing them to my Iranian family who was always nurturing and kind. Family is everything to an Iranian and I want readers to see how warm and enveloping the love of a grandmother or an aunt can be. You can purchase a copy of ‘Taking Cover’ by visiting the National Geographic store, Amazon and other major book retailers, and learn more about Nioucha by visiting her Facebook Page.